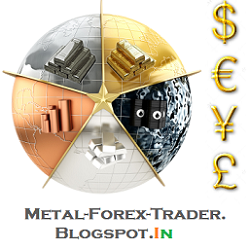 Across the 137 warehouses that the London Metal Exchange has begun tracking, 2 stand out. Having been at the center of allegations of manipulation of the metals markets - most notably Aluminum - thanks to monopolistic warehousing, the following report from the LME will not entirely shock that none other than Goldman Sachs (and Glencore) have simply incredible waiting times for delivery of the base metal. We discussed the monopolization (thanks to lax Fed regulation) here, here, here, and here and as Reuters reports lengthy logjams at warehouses monitored by the LME, the world's oldest and biggest market for industrial metals, prompted bitter criticism by consumers and sparked a wide-ranging reform program at the exchange. With nearly 2-year-waits for Aluminum delivery by Goldman - we are sure regulators will see nothing wrong at all. The LME's new report, covering the month of April, showed the backlogs were concentrated at four warehouse locations and with three major warehouse operators. The LME already publishes data on inventory levels by location and metal, but up until now has not published the amount of stock held by individual companies. 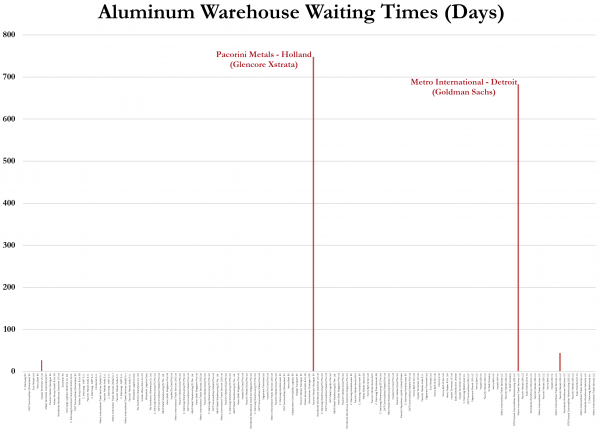 The LME report showed the longest queue was just over two years, or 748 calendar days, for aluminum at Pacorini warehouses in the Dutch port of Vlissingen and the second longest was 683 days at Metro depots in Detroit. Pacorini Metals is owned by commodity group Glencore Xstrata and Metro International Trade Services is a unit of Goldman Sachs.